Miami is not a place where you would expect many people to be concerned about their heating system. With so much hot weather, it’s something that we can easily forget…until we need it. At Air On Demand, we specialize in making our customers comfortable—even on those few nights when we need to turn on our heaters in Miami. We put together some of the unique considerations that go into heating your home here in Miami. This is probably the main consideration for homes in Miami. Because we don’t need heating that often, it’s hard to figure out which heating system would be best suited for that kind of application. Here are some of the common heating systems that we see people using in the Miami area. Electric Heating Strips – Electric heat strips consist of a series of coils that produce heat almost exactly like your toaster does. They can be plugged into the air handler of your air conditioner. When needed, the fan for your AC is turned on and the coils heat up and heat the air as it passes over them. There are two main advantages of this system: first, it doesn’t require any new equipment and second, it is a pretty simple and reliable system. Heat Pumps – Heat pumps are a great option for Miami because they can both cool and heat your home. You don’t need to do anything else. You just switch the system to Heat. Furnaces – Obviously, furnaces are a stand-alone system. They are durable and reliable heating systems that provide consistent heating to your home. 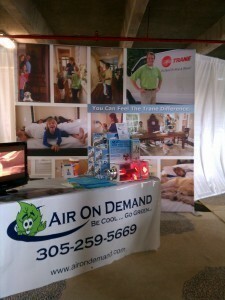 If you have any questions about your heating system in Miami, talk to the heating experts at Air On Demand. We have years of experience working with heating systems in Miami. We can help you work out any kinks that are in your heating system and make sure that you stay comfortable all year long. 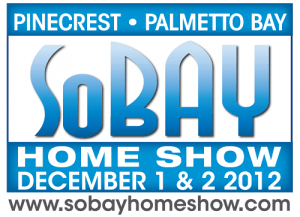 What do you want from the heating and air conditioning system in your Miami home? You want it to heat and cool your home; you want it to be durable; and you want it to be efficient. These are features that come standard with the Panasonic ductless mini split systems. We want our customers to be comfortable all year long. which is why we recommend Panasonic ductless mini split systems. Below we’ve outlined some of the benefits of ductless split systems and how you can make sure that you’re getting the most out of your system. With a ductless mini split system, each room has its own evaporator coil, there is no need for ducts. This unit circulates air inside the room and either heats or cools the air. This unit is connected to a condensing unit that is located outside your home. One of the main advantages of the Panasonic ductless mini split system is that it offers complete zone control in your home. Because each room has its own unit, you can turn on the units that you need to use. For example, if you know that you’re only going to use the living room and kitchen for the whole day, you can turn off the units in the other rooms. This saves you the energy of having to heat or cool the rooms that you aren’t using. Ductless mini split systems also offer a high degree of efficiency for your home. A furnace uses a fuel source, like natural gas, to generate heat. But with Panasonic’s ductless mini split system, it simply moves heat from one place to another. In cooling mode, the ductless mini split system moves heat from inside your home to the outside. In heating mode, it does just the opposite: it takes heat from the outside air and moves it into your home. If you have any questions about Panasonic ductless mini split system in Miami, call the experts at Air On Demand. If you’re interested in capitalizing on the benefits of a ductless system for your home, we would love to talk with you about it. With a proper installation and regular, professional maintenance service you can keep the heating system in your Miami home operating as effectively and efficiently as it was designed to. Of course, if you are not using your heating system in an efficient way then that performance will suffer. Simply purchasing and maintaining a high quality heater is not enough to guarantee the level of performance that you deserve from it. You must heat your home in a thoughtful way, considering your individual heating habits and needs to get the most out of your heater. Air on Demand has some tips to help you avoid some of the most common heating mistakes that people make, reducing the efficiency of their heating system and driving up their heating costs. One of the most consistent misconceptions that people have is that they should set their thermostat for a comfortable temperature and just leave it that way. Sure, back when thermostats gave you no options or features to work with that may have made sense. Changing the temperature in your home frequently from the one control point may be inefficient. Modern thermostats, though, are more accurate than ever before and give you great programmable options to heat your home more efficiently. Be sure to familiarize yourself with your thermostat, create a heating program that fits your lifestyle, and enjoy affordable, efficient comfort this winter. Many people will close off the heating vents in unused rooms, but this can actually affect the pressure of the heating system throughout your home and disrupt airflow efficiency. You may have a room that you never heat and always keep the vents closed. If this is going to be the case it is actually more efficient to have a professional service provider seal off that section of the ductwork to maintain proper pressure in the system. Some homeowners keep heavy drapes drawn over their windows to prevent cold air drafts from coming in. If draftiness is a problem with your windows, fix the drafts; don’t pull the drapes. Allowing sunlight to come through your windows also allows the heat from the sun to radiate in, adding warmth to the room. Keep the cold air out, not the natural warmth of the sun. Probably the biggest mistake that is most commonly made when heating a home is yielding to the temptation to jack the heat up when you come home to a cold house. The fact is that your heater is going to provide heat at the same rate no matter where you set the temperature. Turning the thermostat up to 80 will not heat your home faster, it will just keep your heater running longer. If you want to come home to a warm, cozy house, upgrade to a programmable thermostat and use it. Avoid these common heating mistakes and enjoy the savings on heating bills this winter. If you have more questions about heating your Miami home efficiently, call Air on Demand for more advice.